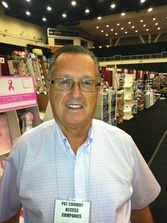 The sales operation is headed by Pat Conway who has been active in sales and marketing for over 30 years. Pat has developed many trusted relationships with manufacturers, representatives and buyers. or by using the Auto-Send form below.